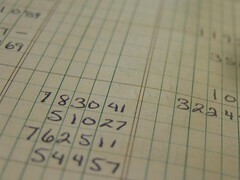 While cloud accounting appears to be a recent creation it has actually been around since the early 1990’s. Though not everyone is aware of that, what most people know is that cloud computing has changed the way businesses handle their accounting processes. There has been a growing move by accounting firms to embrace all that this technology has to offer. Both accounting professionals and business owners are electing to use this technology to take advantage of the speed, efficiency, and convenience it offers. These advantages are not new, however they are only just now being widely recognized and used. Let’s take a look at four of those advantages. Conducting business online is a necessity both personally and professionally. Being able to access vital information from anywhere, at anytime is all achievable through an internet connection, something we all have readily available. The storing, retrieving and sharing of accounting information is accomplished with ease. Authorized personnel have business data such as financial statements, accounts payable and receivable and other accounting figures instantly available to them whenever required. Cloud accounting has made many other labor-intensive systems of accounting redundant, and is constantly evolving and improving to make the sharing of information easier. Employees, partners, clients, and consultants all have the ability to access financial data from any location worldwide. No longer is there the delays associated with manual accounting systems, and answers are readily available as required. Sharing information via the cloud allows accountants to become more valuable to their clients as they are able to constantly monitor the status of their client’s business performance and proactively help them with making informed business decisions that effectively increase their bottom line. One of the distinct advantages of the sharing of information via the Cloud is that accounting and banking can all be undertaken in real-time thereby eliminating delays in up-to-date information being available. ASP (Application Service Provider) centralizes data and has become very popular as a result, saving companies large amounts of money in purchasing and maintaining files, email servers and the like, as well as the costs associated with software. Quickbooks and Microsoft Office products can be leased and then the accountant and his/her client have access to the information they require from one centralized location. Large numbers of companies have adopted this technology in the last few years, making their desktop and laptop computers now work as a terminal to access their accounting information. All that is required is a good internet connection to have their information instantly available. Security is a big issue that needs addressing, as business information in the wrong hands can have disastrous consequences. Security is one thing that should never be taken for granted, and that is why strong security measures have been built into online accounting systems. Through a combination of 256-bit encrypted logins, firewalls, and around-the-clock monitoring by a team of experts in a Network Operations Center (NOC), any potential threats are addressed immediately. Earthquakes, extreme weather conditions, IP Address intrusions and the like are all taken into account and effectively combated through the NOC’s uninterrupted power supply, ensuring users are not subjected to downtime. Effective management of potential security risks include allowing only those users with authorization to be able to access information, and this access is controlled by an administrator who can grant and deny access as the need arises. Risk management is of critical importance and control is not left to chance. Controlling what data is available to each user helps risk any possibility of financial data being compromised. All financial information is backed up regularly on the cloud so where on-site servers, computers and software are at the risk of being compromised or failing, these issues are avoided with online accounting systems. In-house computer systems and servers can fall foul to hackers and during power outages leave users without access to vital financial data. Not so with cloud-based accounting. Information is available instantly, 24 hours a day, 365 days a year. Locations for storage in the cloud are virtually without limit. Business owners can rest assured that their information is not only secure but is not at risk of being lost either. The major issue in-house PC-based accounting systems face is permanent loss of information. This is a very real concern – when vital records are compromised and recovery becomes impossible, it can be a complete disaster for your business. With the cloud, this is not an issue as you can always get your information back. This is perhaps the most comforting aspect of online accounting. Business decisions rely upon having the most up-to-date information available in a timely manner. When your financial data is stored on the cloud, regardless of any disaster that may be occurring at your business location, you can rest assured that all critical information is safe in the cloud and readily available to be accessed. All of these benefits of online accounting are readily available through today’s technology. All accounting firms and businesses should be taking advantage of the security and accessibility such technology provides. Wise businesses and accounting professionals are already on board and reaping the benefits. How has the cloud affected your business or accounting practices? Let me know in the comments below! Zach Simpson is the founder and editor of www.onlineaccountingblog.com. With over 15 years of experience in accounting, he has worked as a CPA, accountant for a large corporation, and has experience running a small business. He now works as an enterprise software consultant.